The company will use its best endeavours to deliver the service as advertised, discussed verbally, negotiated with a third party or communicated via electronic or written form… However actual sights, flights, routes, aircraft, departure times & flight duration may vary (or even be cancelled) due to weather, operational considerations (including deployment of our helicopter by the RFS (Rural Fire Service) during bushfire/wildfire activity), air traffic control or pilot discretion. The company can give no guarantee of exact arrival or departure time for any service and will not be liable for any failure to make connections to other services or not achieving stated outcomes due to operational considerations beyond our control. If the weather is inclement on the day of your flight (with no signs of improvement forecasted), the flight may be re-scheduled at a time that is mutually convenient. If you are unable to fly at any other time (i.e. 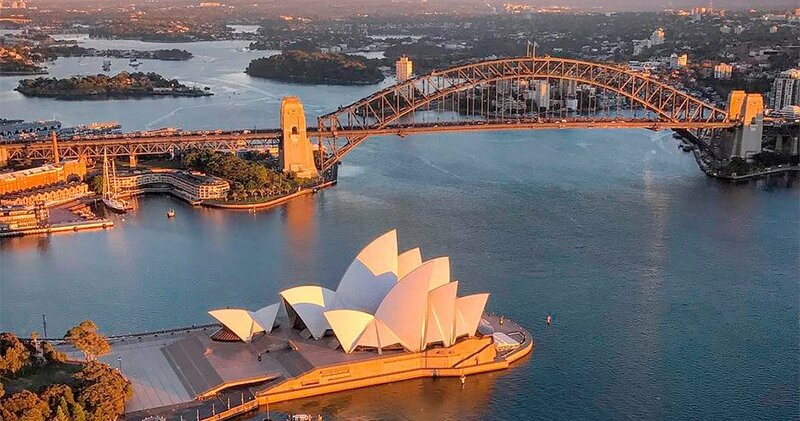 You are leaving Sydney the next day), then no fees are payable by you. The call on the weather is at the absolute discretion of your pilot. We do not depart in heavy rain/poor visibility or when thunderstorms are in the area of flight. Your safety is our number one priority. On occasion, delays can occur for reasons beyond our control (i.e. passing storm / operational considerations). On these occasions, the company may exercise a “60-minute wait window”. This means that we will reserve the right to make a decision to fly for up to 60 minutes, in this time period the original booking and all our terms & conditions still stand (please allow for this contingency with your schedule). Unless agreed prior, at no stage, is the company financially responsible for how passengers arrive or depart (by land-based transport) to or from our base. In case of pre-flight operational issues, it is advisable for passengers to provide a contact phone number so we can endeavour to make contact if required. In the case of operational considerations that prevent us from flying (i.e. bad weather), If you agree to move your flight to another occasion, then all our terms and conditions automatically renew as it will be considered a new booking. If after a helicopter tour or charter (e.g. Blue Mountains or Hunter Valley) has commenced from our home base at Sydney Airport the weather becomes inclement or is forecasted to later in the day (i.e. thunderstorms/hail), then the pilot may elect to return to Sydney early or relocate the aircraft. 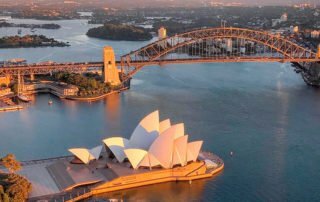 The option may be given to the passengers to either return early with the pilot or to return to Sydney by ground-based transport (e.g. company or chauffeured car) at the original return time. This expense will be covered by Blue Sky Helicopters, however, no refunds or credit for flights will be given. The company will also not be responsible for any additional expenses incurred as a result of any delays, cancellations or alterations arising from this clause either. A credit card number is required to secure reservations. Unless you request otherwise, it is not charged prior to the flight (unless a 3rd party is paying or you request us to do so). 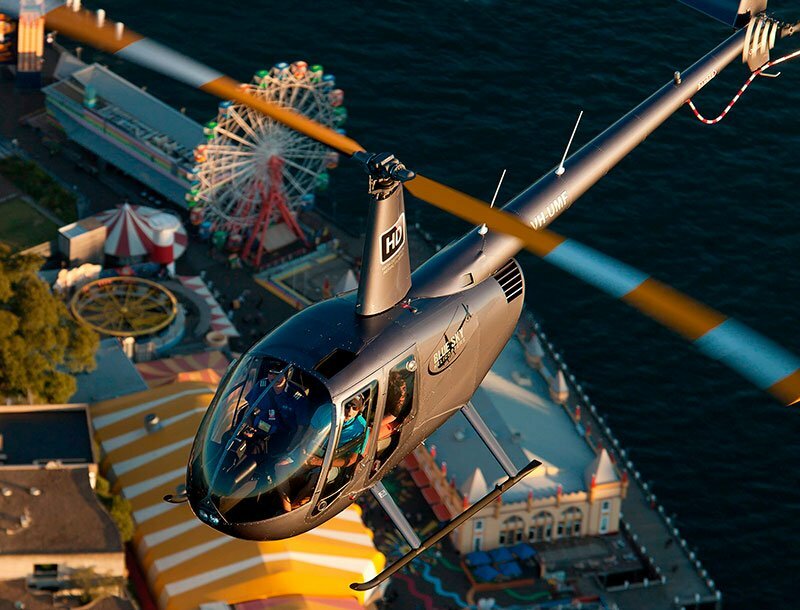 PLEASE NOTE: Your booking will still need to be confirmed by return email to confirm your chosen flight time is available – No agreement is entered into between the two parties until you have received a confirmation from Blue Sky/Black Ops Helicopters. Gift Cards are strictly valid for 12 months. The recipient needs to give at least 21 days notice in order to redeem the card. All flights (including Gift Cards redemptions) are on request and subject to availability. On completion of the flight, passengers may pay by cash, debit or credit card. In the case of a 3rd party (e.g. family member or a company) securing (and paying) for the flight with their credit card, an authorisation (with signature) giving us permission to debit their card is required (please email us for the authorisation form). This needs to be emailed to the company more than 5 days prior to the departure. If you wish to pay in advance by direct deposit, internet transfer or make an over the counter bank deposit then please make contact with us for our bank account details. Note: Banking & Internet deposits can take up to 48hrs to reach our account where over the counter cash transactions will show up immediately. Please note: A 2.5% charge applies to all credit card payments (online or in person payments) – EFTPOS PIN-based Debit Card (Australian issue) or cash, no charge. Gift cards can also be purchased & are strictly valid for TWELVE (12) months from date of issue. SHARE WITH OTHERS OR PRIVATE CHARTER? 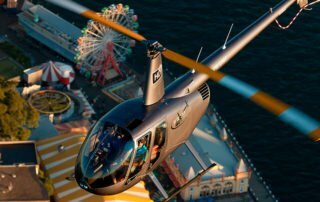 Share with Others means just that… sharing the helicopter with other passengers. i.e. You are purchasing individual seats on the helicopter and the remaining seats will be occupied by other passengers. Shared flights may not always be available during the week or at short notice. 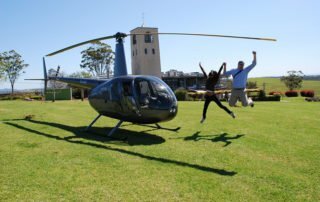 Private Charter means that you are securing all seats on the helicopter… You will not be sharing with other people that you do not know. Note: For most flights, if your flight booking equals *3,4,5 or 6 passengers you will automatically qualify for “Private Charter”. Note: Aircraft type & seating positions are subject to a weight & balance calculation on the day of the flight and are decided at the absolute discretion of the Pilot in Command. Share with Others flight prices are based on standard passenger weights. Individual passengers (or a group of) in excess of 90kg per person (200lb/14.5 stone) may effect quoted prices. Individual weight limitations also apply to Private Charter flights but aren’t as critical if aircraft is flown with empty seats (i.e You book a Private Charter flight for two passengers in a three passenger helicopter or you book for 4 passengers in the 6 passenger helicopter). From April 1 to August 31 (excluding public holidays) cancellation (by passengers) within two days of flight time will incur a 50% cancellation fee. Cancellation (by passengers) within one day of flight time (or a no-show) will incur a 100% cancellation fee. Bookings made during peak periods (September 1 to March 31) and including all public holidays (throughout the year) which are cancelled within seven days (prior to the departure date or no show on the day) will be subject to a 100% cancellation fee. Note: Cancellation fees are based on seven days, two days or one day before, not 168hrs, 48hrs or 24hrs until the actual flight departure time. 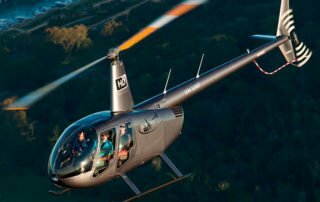 No fees are payable if Blue Sky Helicopters cancels the flight due to weather or other operational contingency. Refunds of payments made through 3rd party booking agents must be sought from the agent. To cover administration and credit card fees, any refunds given (for cancellations) outside the above times will be subject to a 5% refund charge deducted from the total flight cost. Cancellation fees will be automatically debited from the credit card that was given to secure the booking. Passengers who wish to cancel a reservation are required to notify our office via email and are not considered cancelled until our office has acknowledged and confirmed the request. The safety and wellbeing of our staff and passengers is our number one priority. The company & it’s employees reserve the right to deny carriage/boarding (without refund) to any person who behaves at any stage with an intent to deceive or in a disorderly, intoxicated, threatening or offensive manner to our flight/ground crew or other passengers. Under Civil Aviation law, passengers are also reminded that any such behaviour may result in a criminal prosecution. Baggage and personal belongings (if allowed onboard by the pilot) are carried entirely at the passenger’s own risk. It is also a requirement (that at time of booking) you inform us of any passengers that have a physical or intellectual handicap (this is for no other reason than to help us help you). Our duty is to minimise risk by making safety our primary focus and at the same time, to provide memorable experiences for our passengers. 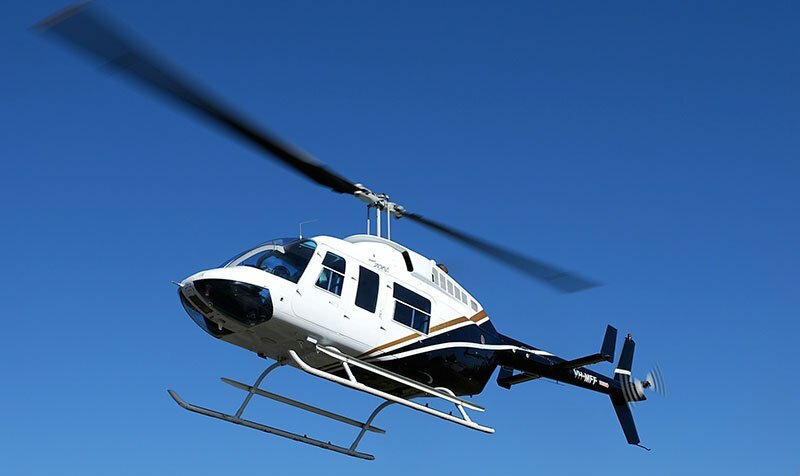 We own all our helicopters & are fully certified by CASA (Civil Aviation Safety Authority) to operate under Air Operator Certificate (AOC) number S551971-09. We hold all legally required insurances including a certificate of compliance under the Civil Aviation Carriers Liability Act. We strongly recommend that you only fly with a long established company (such as ours) that has it’s own AOC and company owned aircraft and not one that is operating in conjunction with or under the AOC of another company. You can conduct an AOC search here on the CASA website. Minimum passenger numbers may apply to some “Share with Others” flights. Minimum age for travel is 2 years of age and more than 12 kilos (26lb). All prices quoted throughout our website, printed material & online advertising are in Australian dollars & include GST (Goods & Services tax). Lunch flights and day tours may not be available during times of peak demand. The prices on our website are always up to date and will always be honoured. Operating under our own Air Operating Certificate (AOC), we don’t always claim to offer the cheapest flights or tours but we are one of the best at it – Quality & cheap are not usually in the same sentence, especially in aviation! Our reputation in the aviation and tourism industry speaks volumes. All flights are subject to the aircraft operating within its weight and balance/performance limitations as specified in the aircraft flight manual and the Company Operations Manual. Every flight has a maximum allowable total weight for passengers. 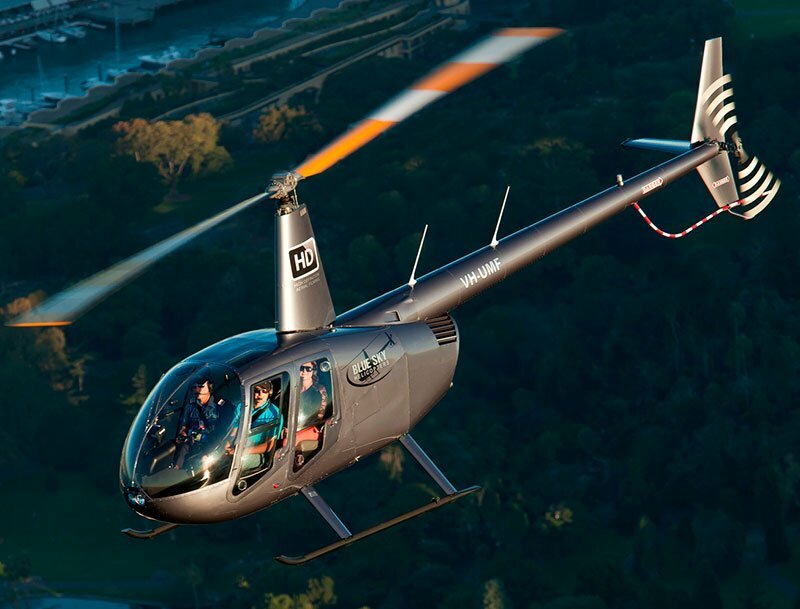 Our Onboard HD Helicam system is an optional extra (not part of the flight cost or experience). Actual flight recordings (are not guaranteed) and the quality of the recording is subject to operational considerations. Passenger/s will need to inform us at the time of booking of all individual passenger weights (inclusive of clothing). This is also confirmed on the day of flight as passengers are weighed prior to departure. Please note: Giving an incorrect weight for a single passenger or a group at time of booking, could result in cancellation of the seat/s on the day of the flight (with penalty) if it causes us operational difficulties, (i.e. the actual weights will contribute to an excess greater than our aircraft maximum take-off weight). All Flight prices are based on standard passenger weights. Individual passengers (or a group of) in excess of 90kg per person (200lb/14.5 stone) may effect quoted prices. Share with Others flight prices are also based on standard passenger weights. Individual passengers (or a group of) in excess of 90kg per person (200lb/14.5 stone) may effect quoted prices and we may ask you to book Private Charter if you initially requested a shared option. Individual weight limitations also apply to Private Charter flights but aren’t as critical if aircraft is flown with empty seats (i.e You book a Private Charter flight for two passengers in a three-passenger helicopter or you book for 4 passengers in the 6 passenger helicopter). Under normal operating conditions (for flights 30 minutes and under), we are able to fly a maximum of 260kg in our 3 passenger helicopter (with no single passenger weighing more than 125kg), 350kg in our 4 passenger helicopter and 450kg in our 6 passenger helicopter (these limitations do not include the pilot’s weight as this has been factored in). Please make contact if you require further information. Aircraft type & seating positions are subject to a weight & balance calculation on the day of the flight and are decided at the absolute discretion of the Pilot in Command. Where the company does not operate a section of a flight or tour, (e.g, photographic/filming services, a restaurant meal or a ground based 4WD tour in the Blue Mountains supplied by another company or individual) or directly provide a service incorporated as part of the flight/tour, then the company shall not be responsible for any loss, damage or injury occasioned to any person or property as a result of any such tour inclusion undertaken during the flight/tour whatsoever or howsoever the same may be caused whether as a result of negligence or otherwise. Please also note that all our restaurant packages are inclusive of food only, all beverages are payable by the passengers direct to the restaurant on completion of the meal. We value your privacy. Any information we receive via this website or directly from you will be considered private and will never be passed on to any third party without your permission or as required by law. Blue Sky Helicopters (and/or our brands, Black Ops Helicopters, Mark Fitzsimmons Photography & Aerial Click Sydney) may however periodically send promotional emails about new products, special offers or other information which we think you may find interesting using the email address which you have provided at the time of booking.